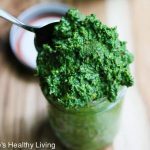 Kale Guacamole is the perfect way to sneak in some healthy dark leafy greens. 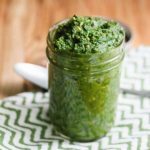 Recently, I sampled some kale guacamole at a local market and was surprised by how much I liked it. I’m a big fan of kale but I have to admit I was skeptical about mixing kale in with guacamole. The key to is to chop up the kale really fine so it’s barely noticeable and doesn’t detract from the creaminess of the guacamole. 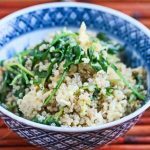 I used the food processor and pulsed the kale until it was finely minced. 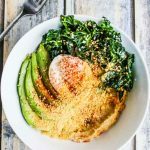 My son enjoyed this Kale Guacamole for an afternoon snack, and I even used it as a spread on his breakfast egg sandwich. Love it whenever I come up with a new way to get my kids to eat kale ;). 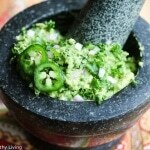 Smash avocado in mortar and pestle with some fresh lime juice and salt. Stir in garlic, onion, kale, jalapeno pepper and cilantro, and mix well. YUM! 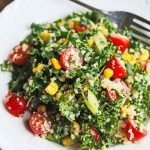 I think that almost anything would go great in guacamole, but what a great way to get all of the health benefits of kale and avocados together!! I would have never thought to do this. I love how intensely green it is. And me too about kids and kale, that always makes me happy. How interesting! I’ve “snuck” in kale into various dishes but guacamole? would’ve never thought of that! My husband told me that guacamole is a MUST on gameday..I shall make 2 versions and see what he thinks! 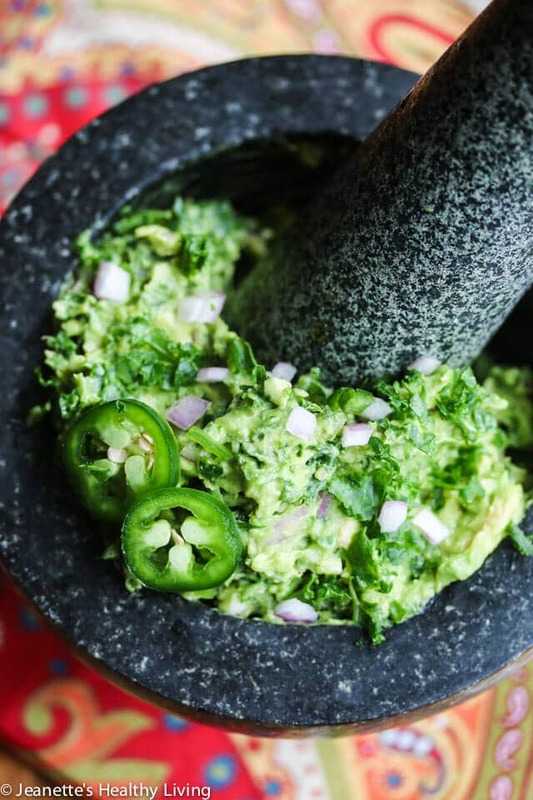 I would also be putting this kale guacamole on everything I could! 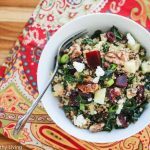 Loving this combination and would have never of thought to put kale into the mix! 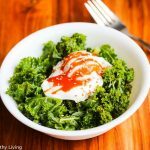 Kale in guacamole??? Simply BRILLIANT Jeanette! I love this idea! Definitely gonnna have to give this a try! That’s such a good idea to put in the food processor first. Love this idea! 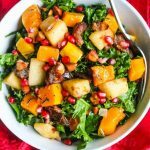 Who doesn’t love kale and avocados! Yay greens! Jeanette, oh I love this!!! and love that you pulsed your kale in the food processor!!! such a great idea!! 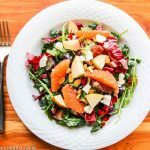 we make guac all the time and I love this healthy spin on it! Pure genius, Jeanette! I love the idea of sneaking kale into guac. 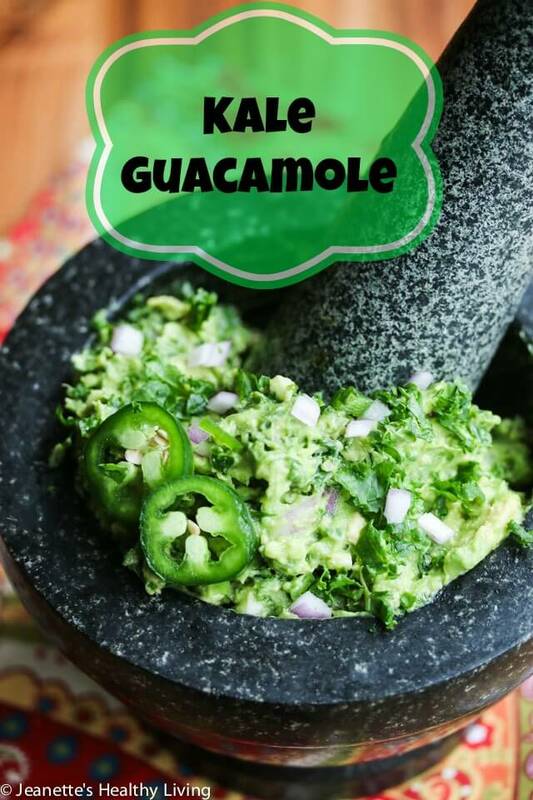 Thank you for sharing this healthy version of guacamole…just in time for game day! You’re a genius. Just when I thought I wouldn’t like kale. Pinned! Thanks everyone! It’s great to hear you are all kale + guacamole fans! 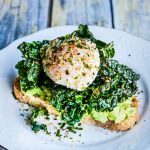 I never would have thought to mix kale into avocado, but am loving the idea. It’s such a great way to work in more greens, while also having the excuse to eat more guacamole!